When will be All About the Andersons next episode air date? Is All About the Andersons renewed or cancelled? Where to countdown All About the Andersons air dates? Is All About the Andersons worth watching? Prepare for aching sides in the hilarious and heartfelt All About the Andersons. 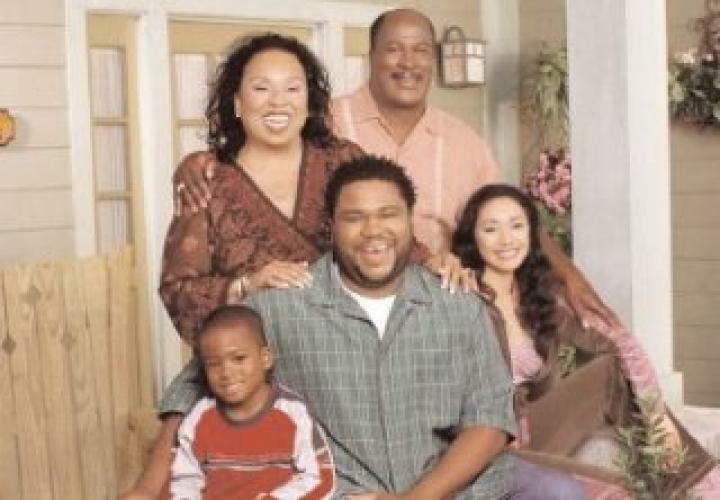 The father-and-son sitcom has won a big following in the US thanks to the popular comic stylings of Anthony Anderson (Me, Myself and Irene) — the series star and comedy sensation whose real life inspired the show. It all begins when struggling actor and suddenly-single dad Anthony (Anderson) moves back into his parents’ house in an effort to provide a stable growing-up environment for 8-year-old Tuga. But this ‘250-pound boomerang’ soon learns that it’s hard to come home again. Although loving mother Flo is on his side, Anthony is constantly clashing with bad-tempered father Joe. Joe wishes Anthony would give up his acting dreams and take a ‘real’ job in the Anderson barbershop/beauty salon. And he’s not above using extreme measures to keep his son from sponging. Putting a padlock on the fridge, rationing electricity and charging him to sleep in the garage are all part of his eccentric plan to help Anthony grow up. But there’s a soft centre beneath the household head’s crusty exterior, and he loves doting on grandson Tuga — even while complaining about Anthony. ‘Keep the cub, shoot the bear,’ Joe growls to his wife. EpisoDate.com is your TV show guide to Countdown All About the Andersons Episode Air Dates and to stay in touch with All About the Andersons next episode Air Date and your others favorite TV Shows. Add the shows you like to a "Watchlist" and let the site take it from there.